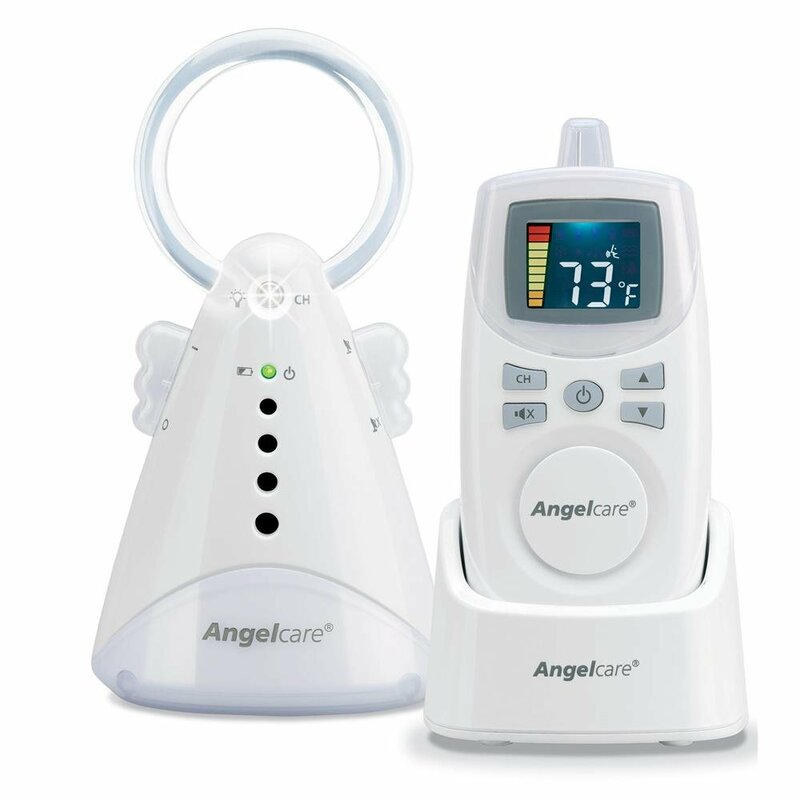 The Angelcare AC 420 Sound baby monitor is an affordable sound-only monitor that provides superb reception range, crystal clear audio feed, and the anti-interference capacity, though there are some shortcomings of it that you need to pay attention to. What do we like about the Angelcare AC420? The Angelcare AC 420 unit provides best-in-class indoor reception range at this price range, even the much more expensive competitors like Philips AVENT DECT can not beat it. A reception range of more than 3,300 feet in open field also blows everything else away. If you walk too far away from the baby you will be notified by the parent unit. It works on 927 MHz frequency and eight channels to offer more reliable, clearer audio feed. The audio quality is beyond the average, and way better than similarly priced competitors. You can customize the level of volume on the monitor unit and adjust the sensitivity of microphone on the nursery unit. We really appreciate the temperature feature as it lets the parents know if the infant is too hot or too cold, which is important The error of the temperature display is acceptable. As a cheap audio baby monitor, it is also versatile. It comes with out-of-range alert, voice activated, vibration alert, etc. The Angelcare AC420 Sound Monitor is near-perfect due to its elegant appearance, impressive features and super affordable price. Unfortunately it is not because of its 2 shortcomings mentioned above. We hope that Angelcare will make some improvements in the next version. But still we think this baby monitor is a great choice for those on a budget and those who suffer interference or reception issues of other audio monitors like the Sony Babycall. Click Here to read more about the Angelcare AC420 Sound Monitor!